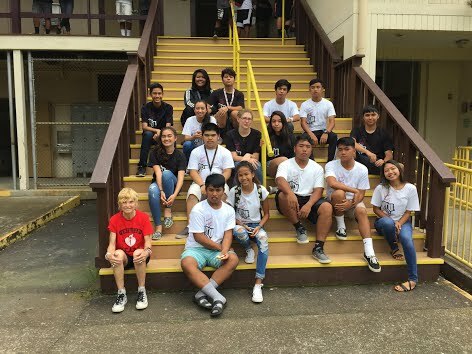 Ka’u HOSA is a club for future health care professionals that provides students opportunities to promote health, deliver quality care, and to learn about the important elements that are essential for health career professionals. HOSA also provides students the chance to compete in various health subjects individually or as a team. The advantage of HOSA is that it not only provides community services opportunities, but also allows students to engage in critical thinking beyond the classroom, as well as enhance their problem solving skills. Currently there are 25 members and growing. For those that choose to do so, competitions begin in January, with States in February, and Nationals in June. Meeting times are Mondays during lunch recess for short announcements, and Tuesdays after school. Come be a part of a 21st century learning experience! For more information contact Dr. Angie Miyashiro in Rm. 17. Leadership—focus on HOSA’s core values (lead, learn, serve, innovate); have the vision to operationalize and sustain an organization to strive for excellence! Service—focus on exceeding expectations (within your local chapter; with partners; in your school; and in your community). Engagement—Leadership that is not about me, it's about “we”. The engagement of all sectors of health professionals is expanded when we focus on each other. Teamwork makes HOSA’s dream work!